Researchers cite a ProPublica and National Geographic investigation revealing the DEA’s involvement and call for answers from the United States. A disturbing report released today by researchers at the prestigious Colegio de Mexico provides new details about a 2011 massacre in Allende, a quiet Mexican ranching town less than an hour’s drive from the United States, and suggests that many more people were killed in the incident than estimated by Mexican authorities. The report’s authors also repeatedly cite an investigation of the incident by ProPublica and National Geographic in calling for the U.S. Drug Enforcement Administration to provide information about its role in triggering the killing spree. 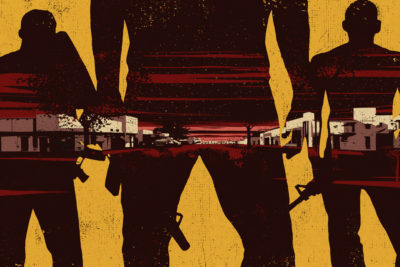 Based on previously undisclosed Mexican law enforcement files, the report paints a chilling portrait of a powerful drug cartel run amok throughout the northern Mexican state of Coahuila, right across the Rio Grande from Texas. Numerous mayors’ offices and municipal police departments served at the will of the Zetas cartel, the report said. State and federal authorities were either complicit or indifferent, taking no action as the Zetas, one of the most violent drug cartels in the world, took control of a regional prison and used it for years to store drugs and weapons, hold and torture hostages, and dispose of the bodies. 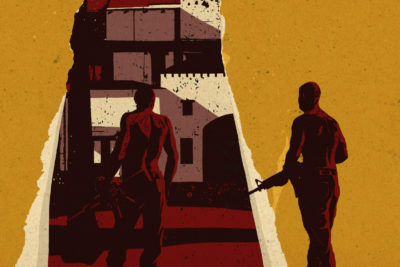 Perhaps the most brazen display of the cartel’s impunity occurred in March 2011, when a convoy of dozens of heavily armed Zetas gunmen descended on Allende and towns nearby and began rounding up friends and relatives of Zetas operatives that the cartel’s leaders believed had betrayed them. Dozens of victims — including some who had no connection to the cartel or the operatives — were rounded up and taken to a ranch just outside Allende, where they were killed and incinerated. There is still no firm count of how many people are either missing or presumed dead. State authorities had estimated that there were about 28 victims while groups formed by victims’ relatives put the number closer to 300. The new report suggests that victims’ relatives are right and sets the center of the mayhem even closer to the border in Piedras Negras, a grimy factory town within walking distance of Eagle Pass, Texas. Some 1,400 emergency calls came in from residents there during the initial days of the rampage, more than from any other place in the region, according to the report. Many of those calls were about shootings or fires at locations that were known, like the prison, as Zetas extermination sites. ProPublica and National Geographic, after months of interviews and poring through documents, found evidence of at least 60 people whose deaths and disappearances were connected to the attack. Other unanswered questions, the report said, have to do with the role of the United States in triggering the massacre. It cites extensively from an investigative oral history published in June by ProPublica and National Geographic that revealed that the killing began after the DEA and its partners in the Mexican federal police mishandled sensitive intelligence. That intelligence wound up in the Zetas’ hands, and alerted the cartel that there were snitches inside the organization. The Zetas’ leaders ordered their henchmen to round up and kill those it believed had betrayed them and anyone linked to them. The DEA did not conduct an investigation of the leak, or discuss it with either Mexican authorities or victims’ families. The agency had never commented publicly on the incident until interviews with ProPublica and National Geographic. In those interviews, the DEA apologized about the intelligence leak, but placed the blame for the violence on the Zetas. In an interview, Aguayo said he has long understood that the United States shared responsibility for the drug-related violence that has plagued Mexico in the last decade, leaving tens of thousands of people dead and missing across the country. The reporting by ProPublica and National Geographic, he said, made those connections real, and urgent. As a result, authorities in Coahuila have formally requested information from the DEA about the former cartel informants connected to the leak that set off the massacre. Aguayo and other researchers at the Colegio de Mexico were given access to law enforcement files by the governor of Coahuila. A DEA spokeswoman did not respond to a request for comment.